Thanet Chamber Choir consists of approximately thirty members all of whom are keen amateur singers. 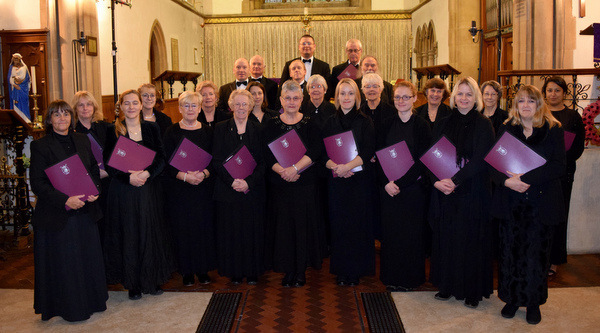 The choir gives at least four concerts a year and regularly performs at weddings, other special occasions and at services in Rochester and Canterbury cathedrals. Specialising in a cappella works from the Renaissance Period up to the present day, the choir also periodically joins with the Thanet Festival Choir and Orchestra to perform works such as the Verdi Requiem, Bach’s St Matthew Passion, and, most recently (2017), Handel’s Israel in Egypt. Much of our repertoire is sacred, but we do lighten the mood in our summer concerts, and explore the musical riches of many composers’ arrangements of folk songs and part-songs.